Stephanie Wankel is a Colorado native, and loves the outdoor lifestyle. 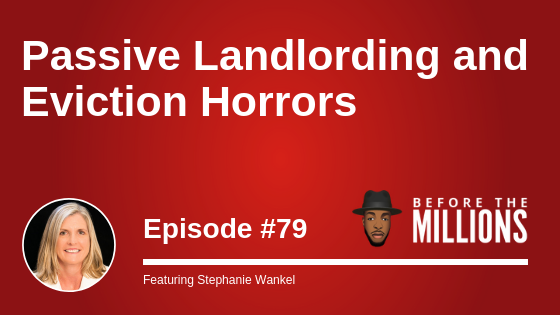 Stephanie has been a real estate investor for over a decade, and continues to grow and manage her portfolio of single family home rentals, she’s done it all: property management, 1031 exchanges, evictions, turnkey, Airbnb, etc. Recently, Stephanie has gotten serious about growing faster through multifamily and has created New Heights Investment Group where they connect investors with private opportunities to participate in passive real estate investments with some of the most experienced, strategic partners in the industry. She wants to give encourage to others and believes if she can do this business while working full time and being a busy mom, that anyone can do it. On today’s episode, we talk to Stephanie about how attitude is everything and action is the key to conquering your fears in business and life. Stephanie shares how to decide when you should start looking for a property manager vs. managing your rental properties yourself. You’ll also learn the differences between of being in a tenant-friendly state vs. landlord-friendly state. Lastly, we wrap up the episode about how you can leverage your experience as a landlord into becoming a full-time investor earning passive income.